Councilmembers unanimously voted on Monday, January 22, 2018 to approve the Seattle Asian Art Museum’s new lease agreement and a land use code amendment (the historic museum building is in a single-family zone). This positive vote clears the way for the start of the Seattle Asian Art Museum renovation and expansion project. The City’s Landmarks Preservation Board previously approved the design. The $54 million project will begin in February/March 2018, with an anticipated reopening of the museum in fall of 2019. 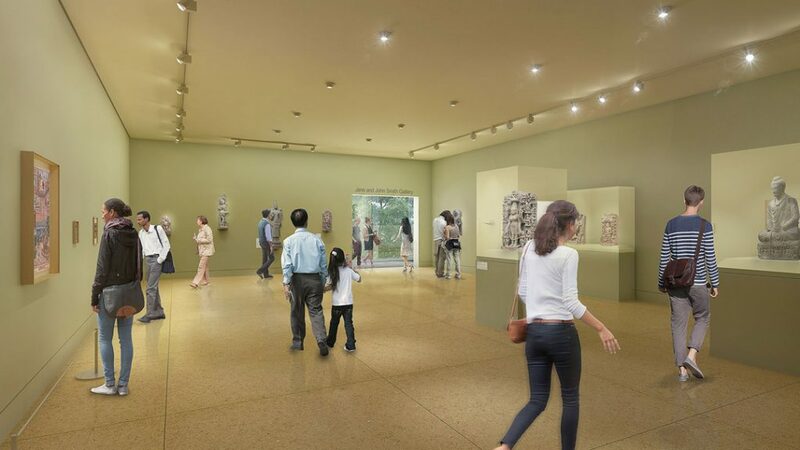 The renovation and expansion will preserve the 1933 historic building and its Art Deco façade; improve the museum’s infrastructure; protect the collection with climate control and seismic system upgrades; add vital gallery and education space; and enhance ADA accessibility and the museum’s connection to Volunteer Park. In return for the City’s financial commitment of $19 million toward the city-owned building’s preservation and improvements (in addition to $2 million previously provided by the City for pre-design work), the Seattle Asian Art Museum has also committed to boosting community benefits, including more free days, free tours and transportation for school groups, in-school art education programs, free lectures and panel discussions, $50,000 in financial assistance, and more. A community meeting to discuss the construction timeline and project details will be scheduled for March 2018. Find out more about the construction schedule.